Maureen is the owner of Alliance Massage Therapy Centre. Through 20 years of massage experience, Maureen has accumulated extensive skills in all aspects of massage therapy’s facets. Altering each treatment to the specific needs of the client, Maureen is dedicated to finding the treatment plan with the highest level of success. Mike is also dedicated to helping patients manage their pain through remedial exercises. Cheri joined our clinic staff right after graduating from West Coast College of Massage Therapy in 1999. She brings her aptitude for sports into her treatments, as she is a marathon runner and played varsity field hockey while attending Simon Fraser University to attain her degree in Kinesiology. Alecia graduated with her Registered Massage Therapy BSC (RMT) in 1999. One of Alecia’s main interests is in sports rehabilitation. She represented Canada by playing softball in the Olympics held in Atlanta in 1996. Kathleen graduated in 2015 from West Coast College of Massage Therapy with a diploma in massage therapy. She brings a wealth of experience in the field of massage therapy, with her career background as a holistic practitioner for over 10 years. In the pursuit of increased knowledge; continuing education has allowed Kathleen to integrate her treatment style. Her main approach to treatment focuses on muscle imbalances, structural alignment and soft tissue restrictions, and she is versatile and adaptive according to the condition presented. 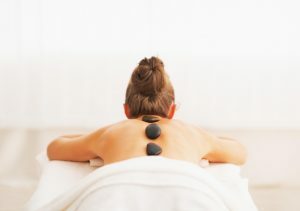 Some of the manual techniques she uses include: myofascial release, joint mobilizations, trigger point therapy, deep tissue; and deep relaxation techniques to help calm the nervous system. Kathleen loves her active lifestyle, and she often explores the coastal mountain range in the summer and winter months. Kathleen looks forward to meeting new clients, and is dedicated to helping them achieve optimal health and wellness. Graduating from the West Coast College of Massage Therapy’s 3000 hour program in 2013, Lea has been working full time as a Registered Massage Therapist ever since. Whether it be lingering back pain, headaches and migraines, or a new injury from an accident or fall, Lea has the knowledge to treat them all. Some of her techniques include deep tissue massage, soft tissue rehabilitation, and myofascial release. When not helping people with their rehabilitation process, you can find Lea on the hiking trails around the Lower Mainland with her dog or watching late night movies at the Drive-In Theatre. Contact Alliance Massage Therapy today to see if Lea can help you feel like you again. In her spare time, Cosmina enjoys being outdoors and is active in running, dancing, Pilates, hiking and paddle boarding. Isabelle graduated from the 3000 hour program at West Coast College of Massage Therapy in 2011. Her passion to help those in need adds to her treatments in improving their well-being. She loves to motivate each patient, individually, to be proactive in their lives as an important part of of leading a healthy lifestyle. Isabelle is active herself, playing volleyball regularly, as well as partaking in a variety of seasonal outdoor activities. She utilizes modalities such as myofascial release, trigger point release, joint mobilizations, and Swedish massage that accommodate to treatments of chronic pain, stress management, headache/migraine relief, postural imbalances, and sports injury rehab. She also has experience with treating patients with Parkinson’s Disease, Cerebral Palsy and Fibromyalgia. Megan graduated in 2013 from WCCMT after completing their 3000 hour program. She brings with her great a depth of knowledge regarding therapeutic massage and experience in treating sports injuries, vehicle collision injuries, and a variety of other soft tissue strains and injuries. She is passionate about ultra running, rock climbing, and extreme skiing. Her enthusiasm for mountain sports shows in her knowledge about injuries related to the great strain these sports place on a person’s body. Dr. Basra believes in an integrated approach to chiropractic care. Treatments combine the effectiveness of chiropractic, deep tissue massage, Active Release Techniques (ART), physical therapy, sports rehabilitation and core strengthening. Through the utilization of a multi-disciplinary approach to chiropractic care and sound patient education on home care procedures, her goal as a successful physician is to solve the root of your current problem and prevent the reoccurrence of pain and injury. Conditions treated include neck and lower back pain, headaches, carpal tunnel syndrome, TMJ pain, extremity pain (shoulder, elbow, wrist, hip, knee and ankle), as well as auto and sports injuries. Each treatment session is half an hour long. Treatments include a comprehensive history and examination, referral to your medical doctor for any necessary x-rays if needed, and implementation of a personalized treatment plan. Treatment plans are supported by sound patient education which allows for a successful partnership in reaching set health goals. Dr. Basra is a graduate of the University of British Columbia and completed her Doctorate of Chiropractic from the University of Southern California Health Sciences in 1998. She has been in private practice in the greater Vancouver area since 2000. Suzanna is a Registered Acupuncturist. She graduated from the International College of Traditional Chinese Medicine in April 1995. She has experience treating a variety of conditions related to chronic neck/back pain, tendinitis, soft tissue injuries, fertility, digestive issues and frozen shoulder to name a few. It has proven beneficial for many people to combine massage and acupuncture treatments for optimum recovery and health.